Planning to Win Big @ No Deposit Mobile Casinos? Really? — ROFL! Now, let’s set up a typical casino bonus situation, to break down the main things that happen. 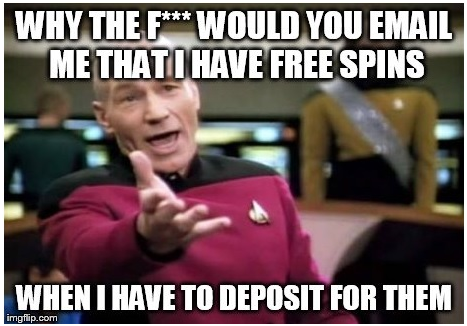 You have chosen a casino, let’s say, that offers £10 free without depositing and/or 10 free spins, hypothetically. 1. Receive 10 free spins. Capped winnings; wagering requirements; narrow time deadlines; withdrawal limits; confusing split bankrolls in account balance; restrictions on which games can be played. 2. Receive £10 free cash. Wagering requirements are probably the most troublesome of all the bonus restrictions embedded in a casino’s Ts&Cs (Terms and Conditions). This restriction requires the player to further wager an amount based upon a factor of their original bonus amount — before being allowed to withdraw any possible winnings. In our example you got 10 free spins. So, you’ll have to wager or bet 10X10=100 equivalent units, which could be just the number of spins or their stated cash value. After making 100 equivalent spins, you might be clear to withdraw anything you won that is left over. It’s the same with free cash bonuses: you would have to wager 10X100=£100 more as the requirement. Some casinos really take players for fools! 10X, unfortunately, is way too low compared to wagering requirements we find out there — we used 10X just to explain the concept. Most casinos have wagering factors of at least 20X, and all the way up to 50X! That’s right, and at such a factor one would have to bet £500 for a measly £10 bonus. When combined with another deadly bonus restriction, time limits, wagering requirements become nearly impossible. Say you have to wager an additional £500 or more within just 15 days before enjoying your pittance of winnings: you may just lose everything that you won in the bargain, and certainly this may not be possible if given only a matter of days to complete wagering. Are there Alternatives to Taking Bonuses? Yes. Just don’t accept the bonus! There’s no free lunch, as they say, so don’t take any when it’s offered. That is, if you can find a casino that offers the option of starting to play by depositing and using your own cash, then you can skip bonuses. Without the choice to opt-out, your account balance could default to having a confusing split of bonus cash (imaginary) and any real cash you deposited. You’ll be hard pressed to find casinos that give free cash no-strings-attached, just like real money, and where bonus winnings are released immediately. And if you found such a thing, the bonus wouldn’t be more than five quid or so. Lucky Admiral, for instance, prefers to give its members the best games, top free spins UK and realistic ongoing promotions that deliver real value. We like to think it’s much better to reward our members’ intelligence rather than trying to sell them with a bunch of smoke and lights. 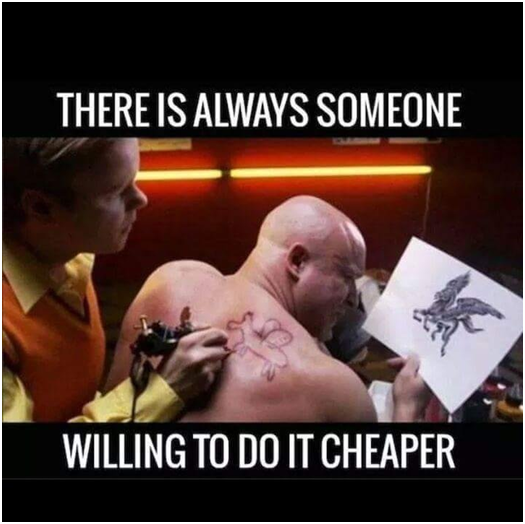 You’ve got to ask yourself: how often do you really get something amazing when you’re not willing to pay for what it’s really worth? When it comes to online casinos, unfortunately, most of them would have you believe that your free lunch of no-deposit cash is a lavish banquet — when underneath all the glitter and hype they are offering you merely a sad, limp sandwich that you’ll regret eating very soon! If you’re offered free cash (or it’s foisted on you) then best treat it lightly. Just spin it out without expectations. Let it go! And, similarly, we suggest that you make your first deposit with the bare minimum, and therefore get the least bonus on it. You can just burn through the free cash as fast as possible, and chalk it up as necessary to join that particular casino. This is not the usual advice! Or, you can find yourself a no-nonsense casino like Lucky Admiral that couldn’t be bothered wasting players’ time with little bribes of meaningless ‘free’ cash. This casino is instead intent to give people honest bonuses and massive value for their hard earned cash. Sometimes casinos require players to play through the bonus and get stuck on its red tape before switching to actual cash balance, or vice versa. All of these schemes are designed to foil e-criminals who are out to game the system. If you’re not an e-criminal then why not bypass the traps laid against the crooks? We want to end on a positive, light hearted note. Let’s not get down on casinos in particular. As entertainment businesses, they are just trying to balance their gains and losses, and above all to add new members. Many players might think that mobile casino no deposit bonuses are the most you could ask for — but we would say that it’s the casino’s atmosphere, design, game portfolio, community and overall fairness that count most. A PayPal casino site will keep your funds safe, for instance; we think that’s worth a thousand no deposit bonuses. Still, we can whine and moan about these ridiculous offers casinos try to foist on us, right? 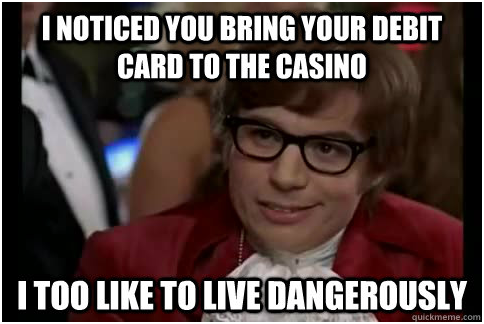 Just remember our rule of thumb: ‘free’ does not literally mean free in the world of online casino bonuses. So are you ready to get your hard-earned money's worth?